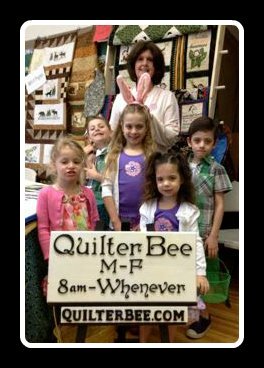 I hope you will find this website an inspiring place to shop for fun and creative hand-crafted gifts, original Americana kits, and awesome tools of the trade that will help save you time in building your quilt masterpieces as well as save you money. After all, time is money and saving both will help you enjoy more time to create! Debbie Frassetto is not only my go-to long-arm quilter extraordinaire, but she has encouraged me to learn more and experiment with sewing projects that I never would have attempted on my own. 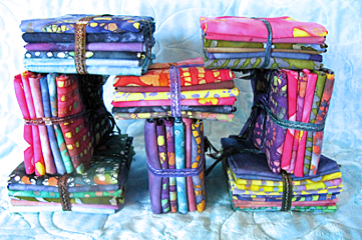 Debbie has an amazing eye for exciting color combinations by using interesting patterns, fabric, threads, and machine quilting techniques that tend to come out perfect every time. 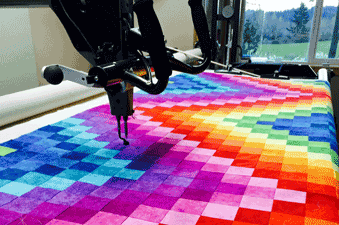 She not only has worked hard to master her long-arm machine’s capabilities, but she designs patterns and machine-quilting templates, and also does a lot of specialty freehand machine quilting work. 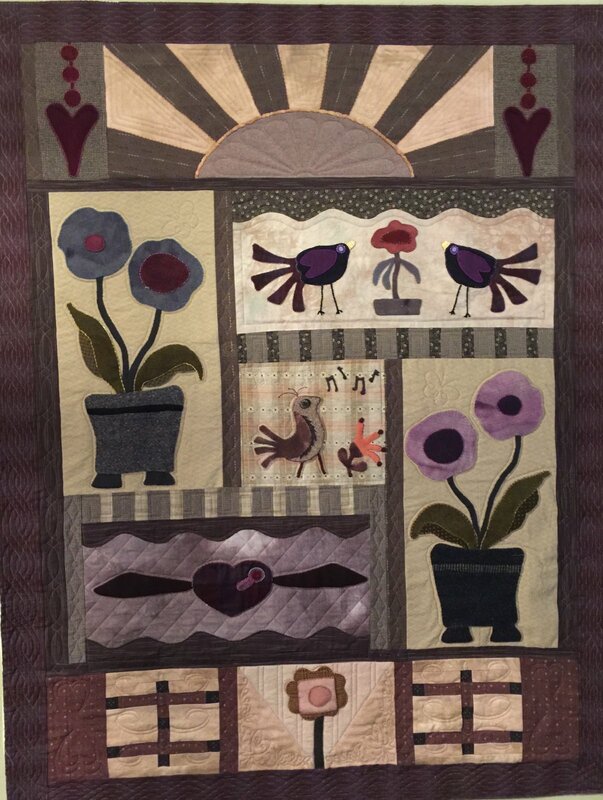 At this point in my own sewing experience, I am doing a lot of wool appliqué quilting, and Debbie always completes my projects with attractive ideas, thread color combinations, and quilting and border patterns that make my hand applique work just pop. I own a very advanced Baby Lock embroidery sewing machine, and I actually know how to use that machine because of the tips and tricks that Debbie has shared with me over the years. Thank you, Debbie, for lovingly teaching me how to express myself and my love for family and friends through the art of sewing. 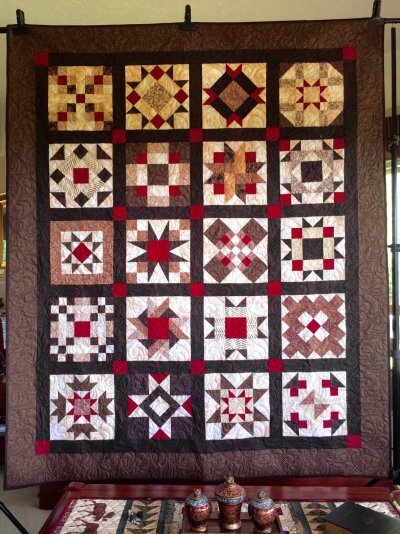 Click here to check out our Gallery of quilts completed for clients!